Yes, you can letterpress for jewelry. Why not? I'm so pleased to be a part of this collaboration. 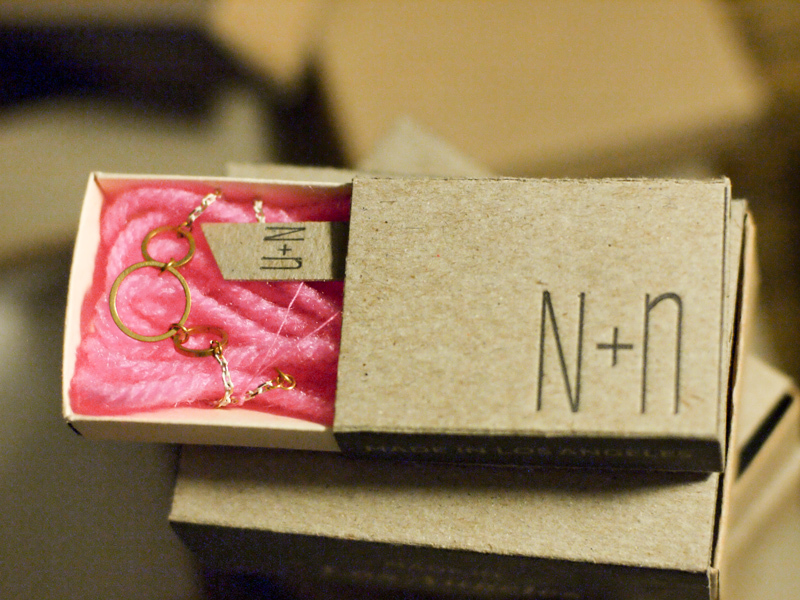 Ann Monzon and Hanna Yum put their jewelry genius minds together and created N+n jewelry. They hand make necklaces and bracelets (so far) with understated and minimal style when worn solo, but as you layer the pieces together, they complement each other perfectly. For their packaging, I stuck to the raw elements and created a matchbox sleeve in chipboard. No fancy paper here. Even their logo is simple just like their jewelry pieces. Take a look and if you're interested, you can find their pieces for purchase on A-thread here, here and here.